Sambit Patra has asked Rahul Gandhi to respond to allegations involving Robert Vadra. He said the Modi government will act as per law, not with a "mindset of revenge". The BJP today gave details of alleged bribe, including a flat in London, given to Congress president Rahul Gandhi's brother-in-law Robert Vadra by a defence dealer, as it intensified its counter-attack on the opposition party over the Rafale deal. Party spokesperson Sambit Patra asked Mr Gandhi to respond to allegations involving Robert Vadra, and claimed that people will answer his charges against Prime Minister Narendra Modi in the 2019 Lok Sabha elections. "Vadra will certainly go to jail for allegedly helping a defence dealer in bagging contracts during the UPA's rule," Mr Patra said, adding that the Modi government will act as per law and not with a "mindset of revenge". At a press conference, the BJP leader gave the address of a London flat, details of the defence dealer's bank account through which money was allegedly paid to Mr Vadra and his first class flight tickets bought by the dealer's travel firm. Mr Patra alleged that the flat belonged to Mr Vadra and claimed that all transactions had happened when the Congress-led UPA was in power. Robert Vadra has been denying these allegations and has accused the Modi government of political vendetta. Mr Patra reiterated the BJP's charge that the UPA government had scrapped its deal with Dassault Aviation, which manufactured Rafale fighter aircraft, because the French firm declined to choose the dealer's firm backed by Mr Vadra as its offset partner. The Gandhi family and the UPA government "looted" the country's interests and harmed the Indian Air Force to protect Vadra's interests, he said. The BJP has turned the heat on the Congress and raked up alleged corruption of Mr Vadra after Rahul Gandhi has targeted Modi, including by taunting him as a "thief", over the alleged corruption in the Rafale deal, claiming that his government helped Anil Ambani's Reliance Defence to get a lucrative contract. "Rahul Gandhi is exposed today. 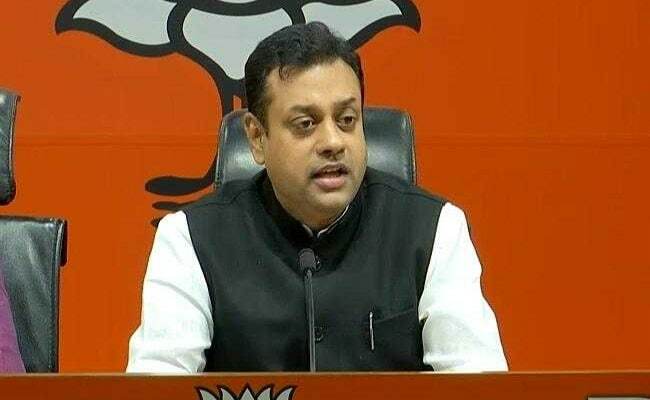 People who looted the country and sold out its interests are questioning our prime minister," Patra said, adding that the Congress president suffers from a sense of entitlement and cannot tolerate somebody like Modi as he comes from a poor background. After Modi came to power in 2014, his government cracked down on the defence firm run by the dealer and it was blacklisted, Patra said, adding that the CBI has been investigating him, and he is out of country. The UPA government had scrapped a contract given to the state-run Hindustan Aeronautics Limited and helped the dealer by awarding it to a foreign firm, Pilatus, he said. The CBI is probing the case, he added. Asked what action the government had taken against Vadra, the BJP spokesperson said he was an "emperor" during the UPA whose fingers were in every deal. It is no longer so, he claimed. "Vadra will definitely go to jail," he said, adding that it took over 20 years to convict fodder scam accused and former Bihar chief minister Lalu Prasad.